A London Stock Exchange employee plunged to his death on Tuesday from a balcony on the seventh floor of the exchange's headquarters in the heart of London's financial district. A police car is parked outside the London Stock Exchange in London, Britain August 15, 2017. 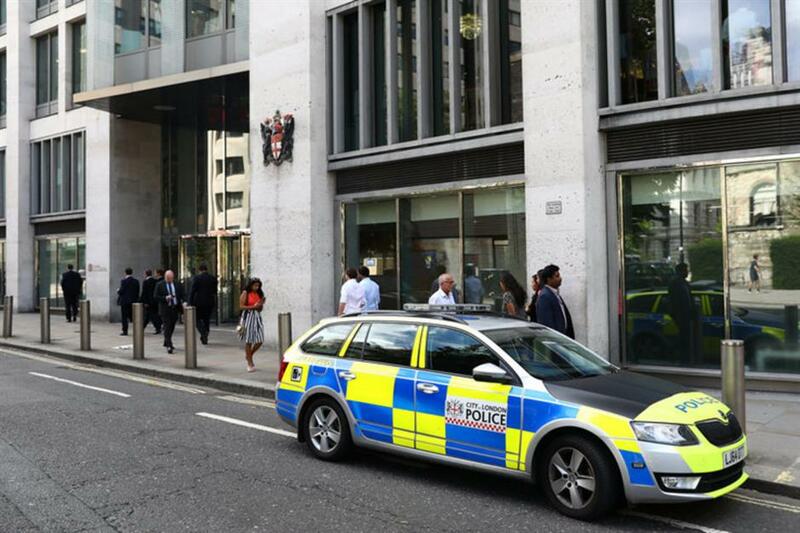 "We were called to the London Stock Exchange... to a report of a man who had fallen from an upper floor in the building," City of London police said, adding that they were treating the incident as non-suspicious. The London ambulance service said the man was pronounced dead at the scene. The Sun newspaper said the man landed in the lobby of the stock exchange building, which is located at Paternoster Square in the City of London financial district, near St Paul's Cathedral. The London Stock Exchange, which traces its history back to 1698, is one of the world's oldest stock exchanges. "We can confirm an incident this morning where a London Stock Exchange Group colleague fell from an upper floor balcony and died," a spokesman said.